Charter Services and Guides fishing out of River Haven Marina. Whether seeking offshore fishing or inshore adventures, we can help you find the right Captain for your needs. Tim and Shari invite you to call (352) 498-0709 for an Up-to-Date fishing and weather report or to book reservations in one of the many accommodations they have to offer. Fish the Flats with Captain Tony Jackson. If you are interested in Scalloping or Fishing whether it be inshore of offshore Captain Don Campbell can help have the adventure you are looking for. 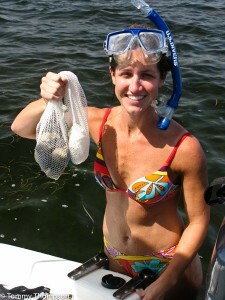 A USCG Licensed Flats Guide, Captain Mike Farmer is available for inshore fishing and scalloping charters. Whether you are looking for some good flats fishing or are more into offshore fishing Team Williams Charters has what you are looking for. Scallop trips also available.